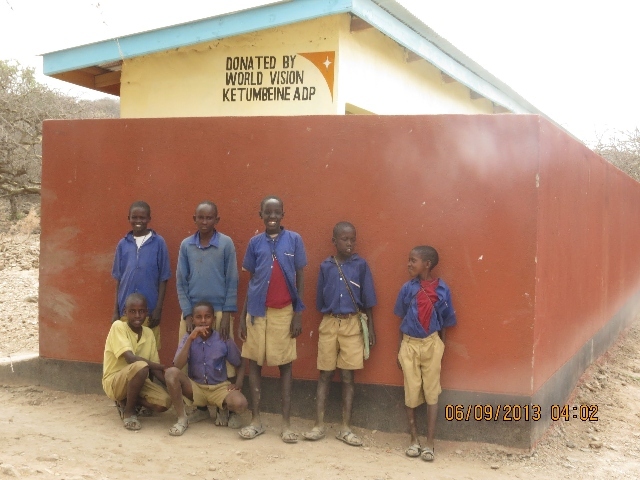 Neglected schools, poorly equipped teachers, and a lack of awareness about the importance of education have kept Ketumbeine's children from building a better future. There is a low level of literacy in the pastoral community, as the care of animals is often considered more important than getting a formal education. Most parents have not received much formal education themselves, and don't consider it a priority for their children. Girls school attendance is very low, and children's right to an education is largely unknown. Teachers are deterred from working in the area as the harsh environment makes living conditions and even transportation difficult. There is a lack of teacher training, and most classrooms don't have enough space, supplies, or furniture to create a suitable learning environment. Over 25% of children in primary school must travel over 5 km every day, which negatively impacts attendance and increases the dropout rate. Families in Ketumbeine lack access to proper health care and nutritious food. It is difficult for many people to receive medical services and reach care dispensaries, and as a result, many health problems go untreated and preventable illnesses become serious concerns. Ketumbeine is a very conservative community, but neighbouring areas have a high prevalence of HIV and AIDS. The travel of young people between the community and other locations for employment puts them at risk of contracting one or both of the illnesses. This leads to further health problems. In 2007, an earthquake and volcanic eruptions occurred nearly simultaneously, causing the destruction of water sources and systems in some areas of the community. While the government tried to solve the water shortage, there are still women who travel at least 5 km a day to search for water for their families. The water that is available is often from unprotected sources, and is not clean. Long drought seasons have jeopardized Ketumbeine's grazing pastures for many years, especially the severe drought in 2005 and 2006, which caused many families to face food shortages. In 2007, more livestock died from grazing in pastures spoiled by volcanic ashes, and families food and income was further depleted. Currently, the average milk production for a local cow is low, and efforts are needed to improve the breed and address feeding issues and veterinary services. Crop sizes are small, as most of the land is sloped, and farming techniques are so poor that three-acre farms often only produce two to three bags (100 kg) of maize per acre, which is less than half of the expected average yield. The Ketumbeine (pronounced kay-toom-bay-ee-nay) community is located in the north-eastern part of Tanzania. The land is dry and rainfall is unpredictable. Most precipitation comes in the early spring. As nearly all of the people here are Maasai, whose pastoral culture is based on herding livestock, the prolonged dry seasons and drought can be devastating. Most of the families suffer from malnutrition, and 83% of households survive on less than $1 a day. Dependency on livestock as the sole source of income is a root cause of poverty. In addition, the culture is largely patriarchal, and the rights of young girls and women are often not upheld. The rite-of-passage of female genital mutilation is common, and associated with it are early, and sometimes forced, marriages and early pregnancies. 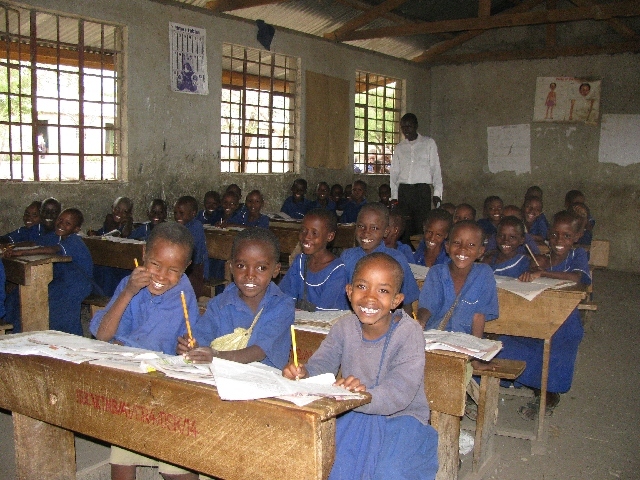 Increase enrolment in primary school for both boys and girls. Train primary school teachers in better pedagogical methods. Educate community leaders and volunteers on children's right to an education. Build classrooms, dormitories, and teachers residences. Encourage children to participate in community meetings and committees and advocate for their education. Provide parents with adult literacy education. Facilitate training for health care workers. Ensure that health workers conduct visits to mothers in the community who cannot reach their facilities. Provide information about the preparation of nutritious meals for children from locally available foods. Encourage community members to raise small animals to provide an additional source of food for their families. Train community leaders, health workers, and local committees to educate the community on the prevention and management of diarrhea and malaria. Form health clubs in schools to promote life skills training and HIV and AIDS awareness and prevention. Train community leaders, health workers, and local committees to educate community members of all ages about the prevention and management of HIV and AIDS. Build charcoal dams and harvest rainwater at schools and dispensaries. Support those who raise livestock with training on animal disease management and animal vaccination. Train farmers to grow drought-resistant crops and improve farming techniques. Improve access to improved seeds and proper grain storage facilities. Increase farmers knowledge and skills in irrigation. 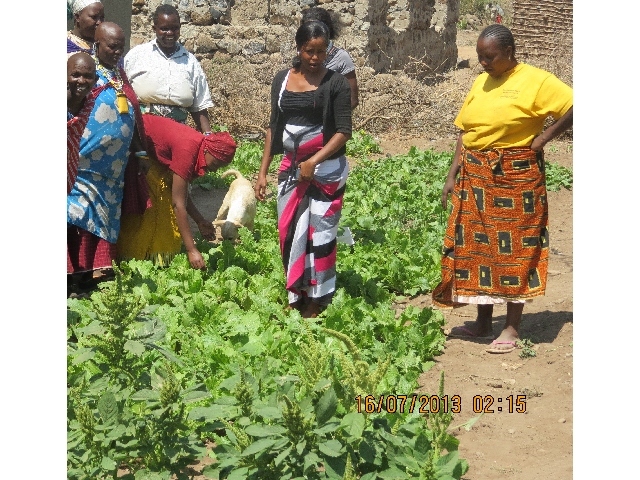 Train groups in vegetable and fruit farming techniques to increase nutritional yield and intake. Improve access of beekeepers to modern beehives and new techniques. Provide women's groups with training in entrepreneurial skills and the management of small businesses selling Maasai beaded ornaments. Improve household access to micro-credit facilities and encourage their participation in saving and credit cooperatives. Encourage the formation of community-based organizations and the development of leadership skills.